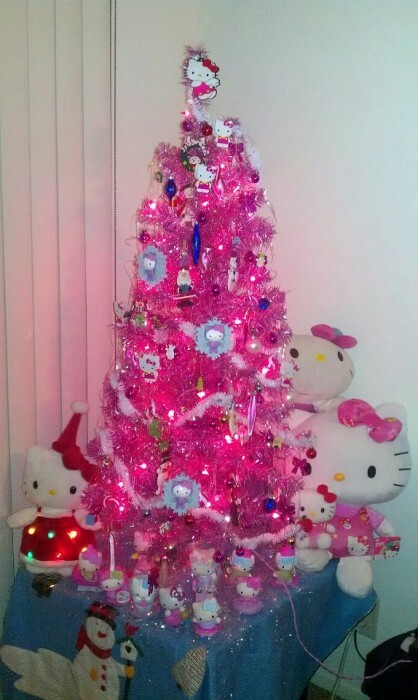 Wow I like hello kitty but to a point… and this tree is beyond ugly. So cute!!! You should of worn your hello kitty ears. Not loving this tree, but if she got really good HK ornaments then her HK tree would look AWESOME! It’s hideous! 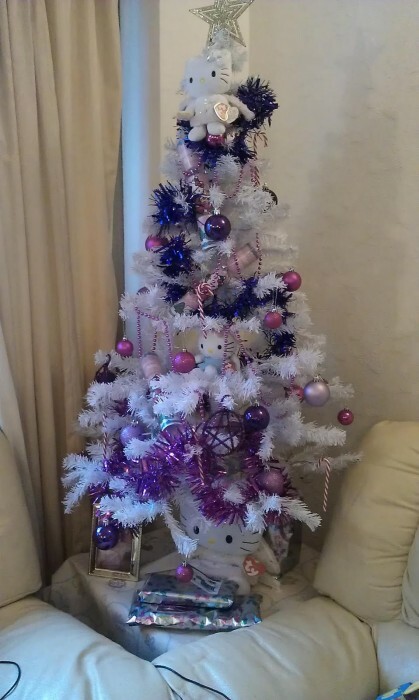 Well, there goes Christmas!!! I could do without the white tree, but that’s about white trees rather than about HK. Also I don’t automatically see red hair bow and think HK, even with the prompt of the woman holding the HK plush. 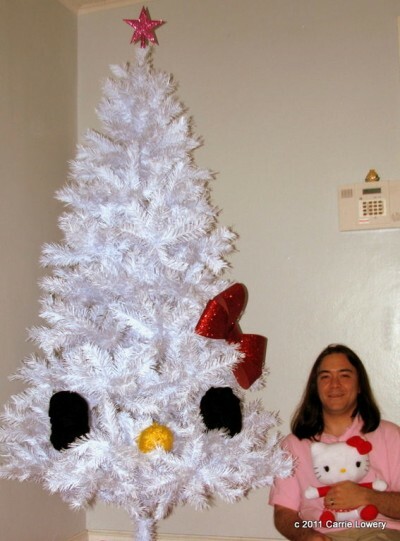 Is that a man or a woman…?…or both..?? Ummm….. how old are we?!? This is horrible, who would honestly like a cartoon this much? Especially a grown up, this is pathethic!